This is a fairly strange unit before you even start to circuit bend it. 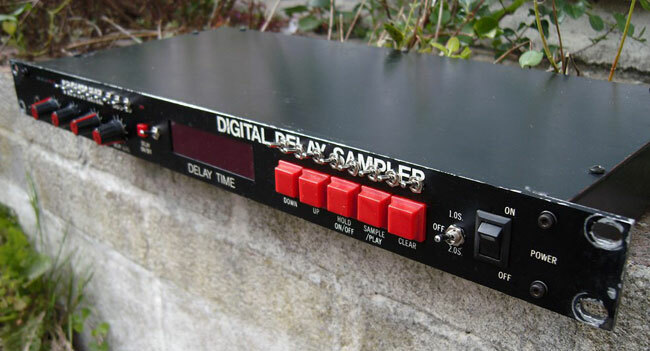 It seems to be an 8-bit digital delay offering either a maximum of 1 second of delay time, or 2 seconds at what appears to be half the bandwidth, although we’re not 100% certain of any of this. 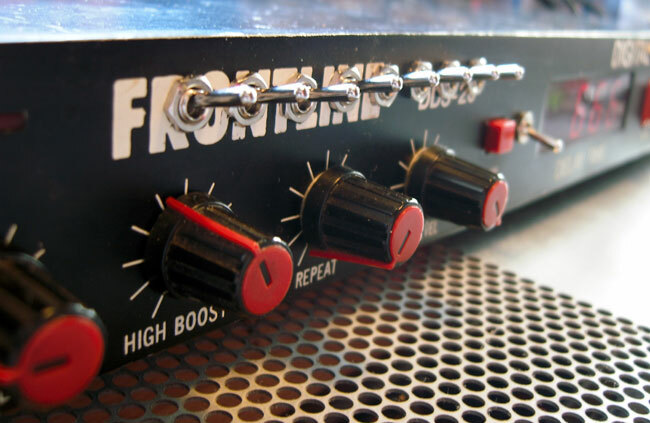 Whatever it is it sounds gloriously lo-fi before you even start to mod it. The 1.0s-OFF-2.0s switch on the right hand side of the panel selects between the time / bandwidth settings. 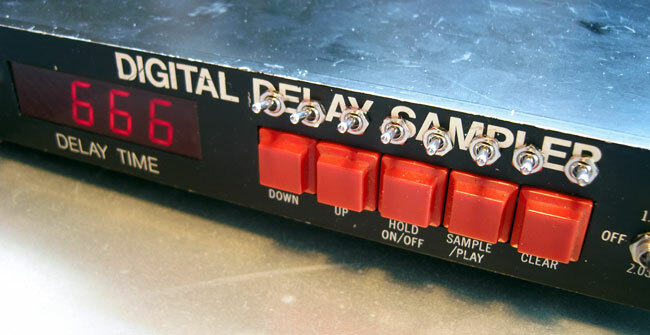 Why there is an OFF setting we’re not entirely sure as you can turn the delay off with the red delay on/off button to the left of the display. We think it has something to do with the bizarre fact that if you switch too fast between the 1 second and 2 second settings, the maximum time doesn’t actually change. In order to change maximum time settings you have to switch it to OFF for about 2 seconds, which presumably gives it time for some internal caps to discharge and the screen to fade out, and then switch it to the other time setting. The repeat/feedback knob has been tweaked so that any setting of 3’o’clock or above will produce a rising delay sound with more than 100% feedback for some distorting dub delay action. The delay grinding switches are the 16 switches along the top of the front panel. You need at least 2 switches activated in order for any effect to be heard. Each switch creates a certain effect and when it is combined with another switch the two effects will merge. As an example, one switch may create chopping effects while another creates bit crushing at a certain frequency. If you activate both these switches you’ll get chopped bit crushed delays. Add a third or fourth switch to the mix and things get very nasty very quickly.